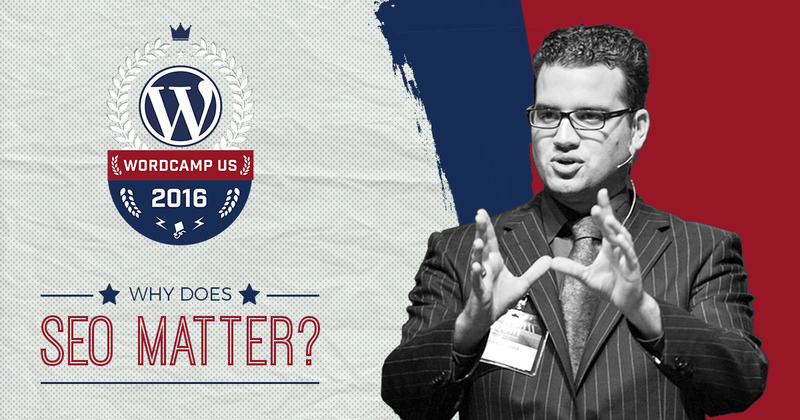 Recently at WordCamp US, Joost de Valk, CEO and Founder of Yoast, gave a presentation on SEO. Why does it matter? How do you optimize it? Are there shortcuts? There is a lot more to SEO than just the technical. SEO is way more than keywords. Some people think search engine optimization (SEO) only matters for big box companies or for e-commerce sites. But Joost believes that SEO is for everyone. In fact, that’s their new mission. Optimizing your text for search is still important and it’s important to note that organic search is still a major factor. Joost believes that the better source of data, rather than Google Analytics, comes from Google Search Console. By the way, there is a beginner’s guide to Google Search Console from Moz. One of the things Joost brought up is the URL structure in WordPress. It’s important that the words in your link (URL) contain your keyword and relate to your page or post’s content. Your URL (permalink) should say something about your content. Currently, the default in WordPress for permalinks is plain. That looks like domainname.com/?p=123. That’s not optimized for SEO. In the settings of your WordPress dashboard go to Permalink Settings to change your URL structure. Since Google counts the words in your permalink as part of a ranking signal, that’s going to be good choice. High volume sites can use time-related permalinks. For most businesses, post name is perfect. Keyword research is still an important part of optimizing your site. But think of parallel searches, think of how your customers find you, and do some sample searches. Joost also emphasizes that your product’s name is not what people are searching for, as much as you think they are. So find out how people are searching for you. This means writing about each topic separately. Don’t try to rank for several keywords on the same post or page. One in four (28%) of WordPress websites are not mobile friendly. This is not good. Even though Google rolled out ranking factors for mobile-responsive sites in 2015 (do you remember Mobilegeddon? ), Joost says, “we need to get better and we need to get better soon.” When he says “we,” he’s referring to us as a community of WordPress developers. It may be surprising, but not every theme in the WordPress repository is mobile-friendly. Not just that but not every theme contains mobile responsive elements (like images and embedded content). You’ll need to test as you develop your custom themes.